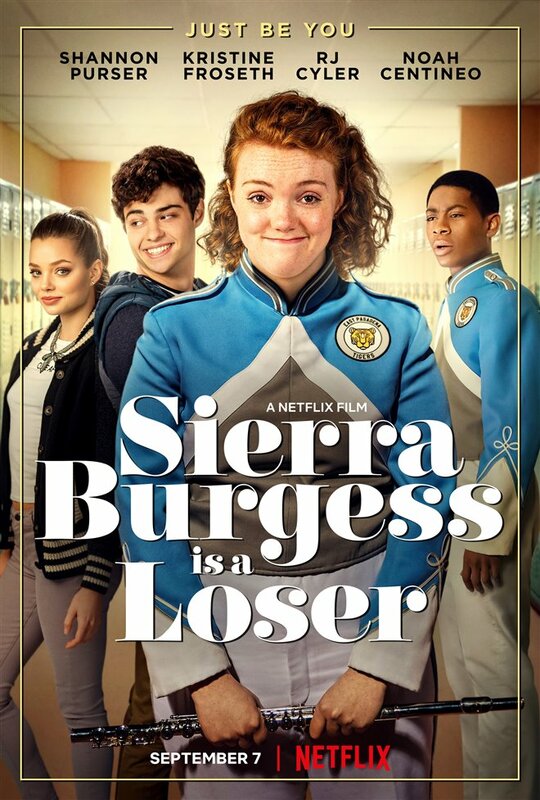 Sierra Burgess is a Loser is a high school flick centered around a teenage girl going through some high school feels. We can all by now tell how any high school movie will go from the first act right down to the last. This movie is no different, in fact it reinforces and embraces the typical high school cheesy 3-act all the more. I've tweeted something along the lines of "most high school movies mean girls/jocks aren't even that mean anymore", and this statement couldn't be more true for this particular movie. I mean, I get where they were trying to drive the story with this "awww" inducing twist, but it only just made the movie cornier. And, my goodness, the lead boy played by what Netflix is trying to push as the new global teen movie heartthrob, Noah Centineo, is as annoying and corny as Noah himself in real life. The movie's heart was in the right place. A social outcast fighting for what she wants, fighting off bullies and all the while struggling with her own internal issues and insecurities. But all of it just ended up in my "trying too hard" trash-can, because it wasn't executed well at all. Perhaps director Ian Samuels and writer Lidnsey Beer are to blame for it all. Making a teen drama, let alone a romantic one, takes a lot of research and precise execution no matter how easy the genre might seem. Take Love, Simon for example, the movie could've gone completely wrong had the filmmakers disregarded the task of researching and figuring out teens, and then putting themselves in their shoes step-by-step during the production of the movie, which ended in the movie feeling genuine and one of the top movies of 2018. Samuels and Beer thought they could wing it and it shows. The world-building, weirdly accompanied by 80/90s music, was awkward as hell because the movie is set in the present. So what in heaven were the 80/90s aesthetics even there for? It's from here that the film tears at the seams, to be honest. The story is quite annoying as well; Sierra begins to develop huge feelings for a guy clearly out of her league so she catfishes him, and milks the interaction to the last drop until everything takes a turn for the worst. All the while we're supposed to sympathise with her because it's cute or something? Ew! Also, RJ Cyler (who crushed his role as the Blue Ranger in 2017's Power Rangers movie) deserved way better than the supporting role he plays in this movie. Every other character is only as interesting as the writer allows; the writer isn't as well-researched, remember? You wouldn't be losing anything if you never watch this movie. But I'd also recommend it for those nights where you need a silly background movie to gather your thoughts over.